Fans have been waiting quite some time for the next numbered entry in the Kingdom Hearts series, and they now have a better idea of when they’ll be able to return to the series. At E3 Square Enix announced Kingdom Hearts III is in development for Playstation 4 and Xbox One. Check out the debut trailer below! LOS ANGELES (June 11, 2013) – SQUARE ENIX, Inc., the publisher of SQUARE ENIX® interactive entertainment products in the Americas, today announced KINGDOM HEARTS III, the next chapter in the celebrated KINGDOM HEARTS franchise that marked its ten-year anniversary in March 2012. 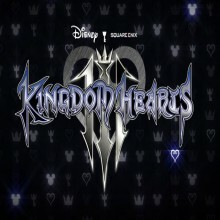 KINGDOM HEARTS III will be available for the PlayStation®4 computer entertainment system and Xbox One®, the all-in-one games and entertainment system from Microsoft. KINGDOM HEARTS III is not yet rated. Please visit the Entertainment Software Rating Board (ESRB) website at www.esrb.org for more information about ratings. KINGDOM HEARTS is a series of role-playing games created through the collaboration of Disney Interactive and Square Enix. Since the first KINGDOM HEARTS was released in March 2002 for the PlayStation®2 system, the series has expanded with six subsequent entries. The series celebrated its 10th anniversary in March 2012, and has shipped over 19 million units worldwide.